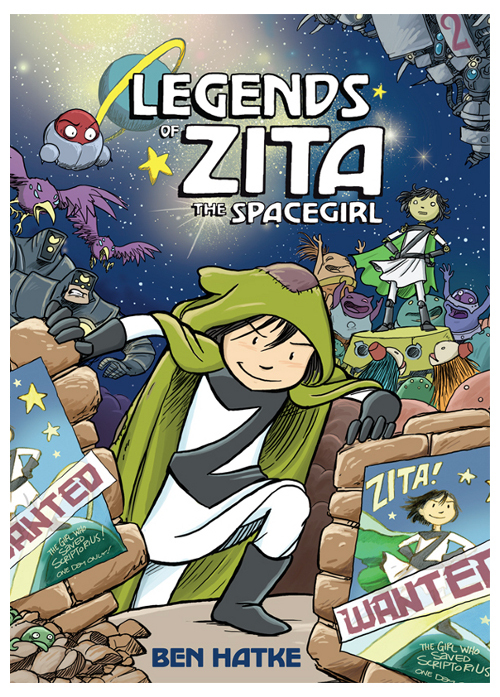 The Zita books were created by writer, artist, and graphic novelist Ben Hatke, and this May readers will see the last of the Zita trilogy, The Return of Zita the Spacegirl. 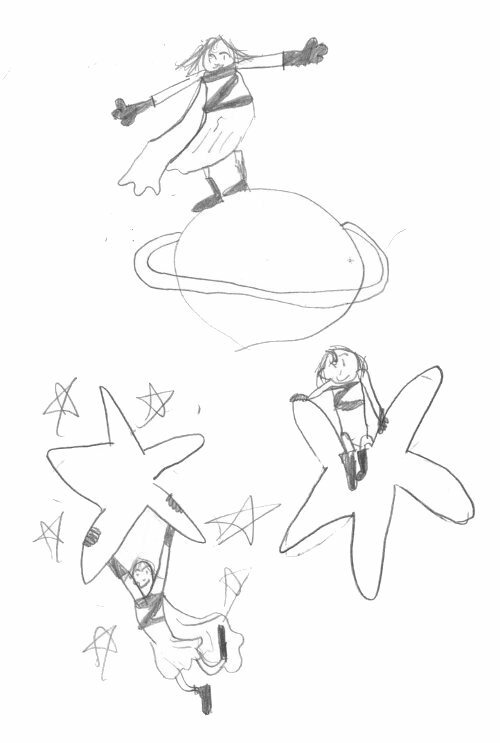 Before that came 2011’s Zita the Spacegirl and 2012’s Legends of Zita the Spacegirl. I’m happy to be a part of this blog tour, because I love these graphic novels. In fact, you can read why here (2011) and here (2012). Those are 7-Imp visits with Ben in which he shares art and even such things as early sketches (and even some of his other, non-Zita art). 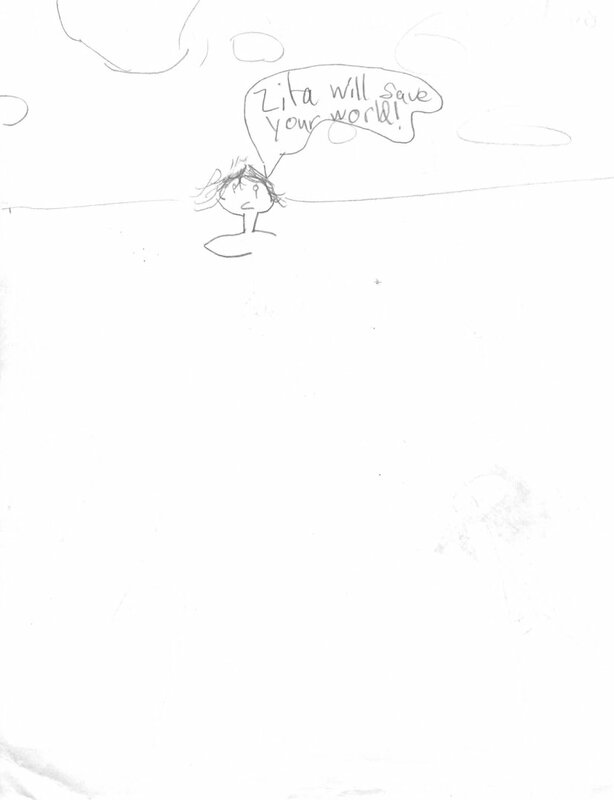 Today, however, I’m handing my site over to my eight-year-old. I don’t normally do this, but she was super eager to contribute, as both she and her sister are HUGELY HUGE fans of the Zita books. I couldn’t possibly count the number of times they’ve read each book. The only reason her older sister isn’t contributing today is ’cause she’s more private, and I think she feels a bit shy about it. 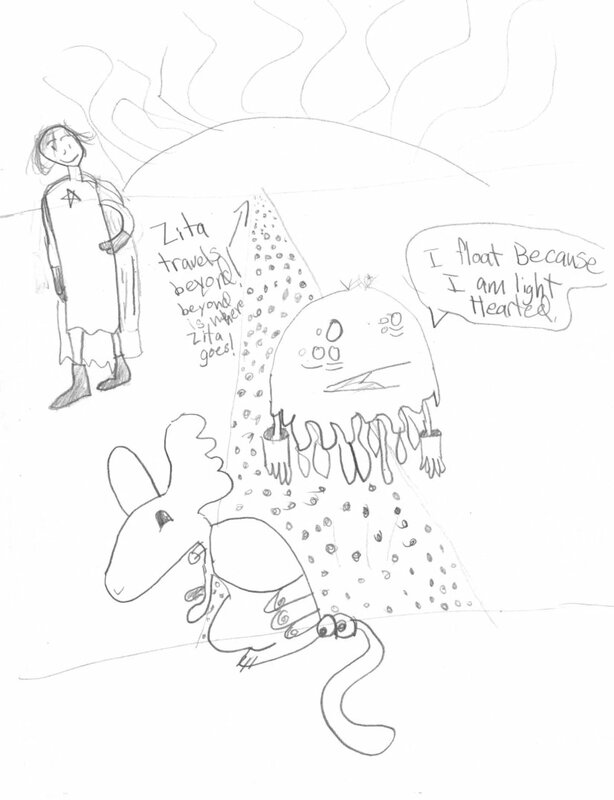 But the eight-year-old, after I asked her why she loves Zita, ran off with pen and paper and drew some tributes (and freely gave me permission to post them). Many of you, like we Danielsons, may be mourning the end of the Zita tales. O! The gnashing of teeth when I mention to the girls that this. is. it. 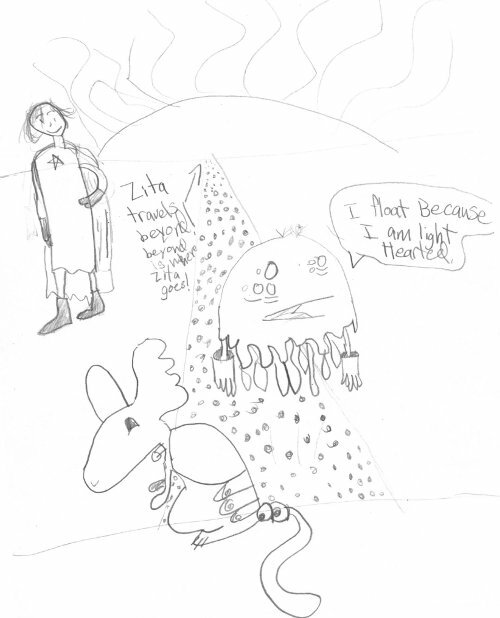 Let us remind ourselves, though, that in his 2012 7-Imp visit, Ben wrote that he may have more plans for the Zita characters. Yes, this is the third title in this trilogy and we have to say goodbye, but … well, you never know. Maybe we’ll see them again, as he hinted. We can hope. Here’s the rest of my daughter’s art. 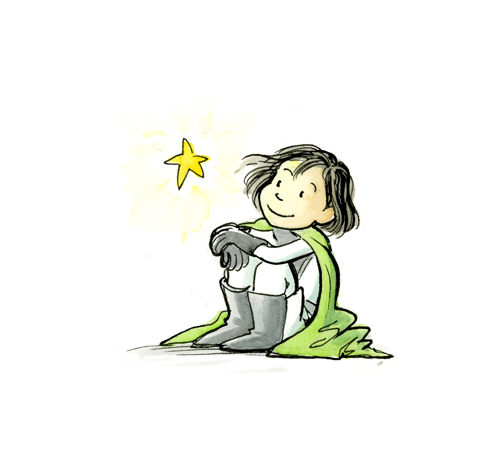 The image above is © 2012 by Ben Hatke and re-posted from this 2012 7-Imp post. 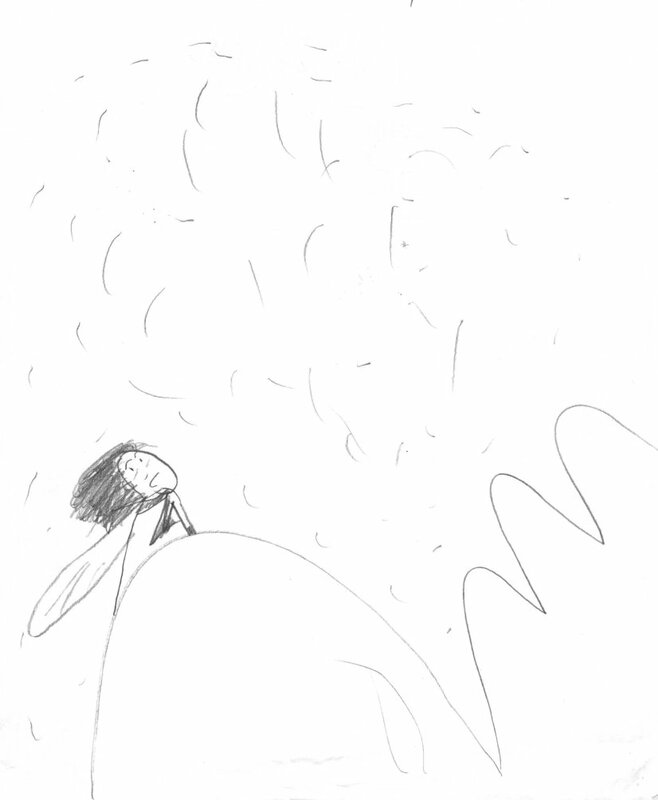 John: HA. 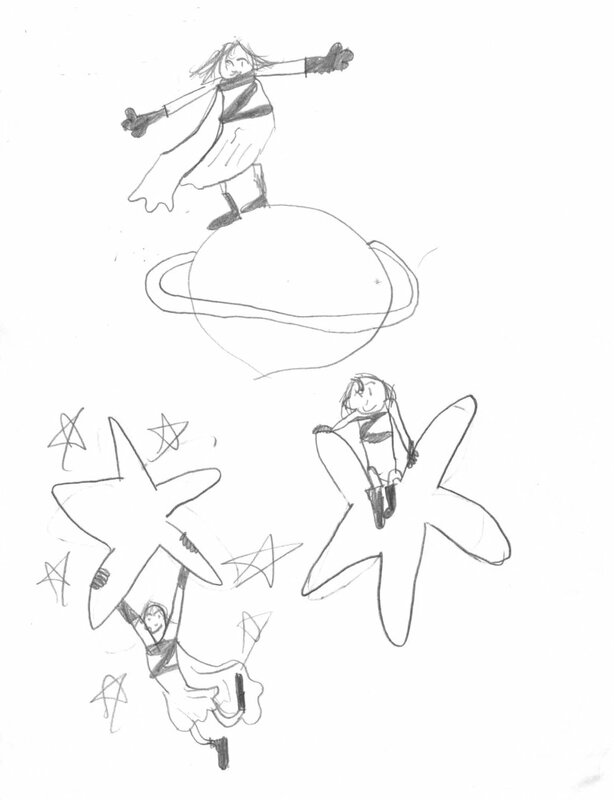 The girls *did* come up with two very funny characters, and I was all, YOU MUST PUT THESE IN A BOOK. And they said, “you do it,” and I said, “but I’m no good at writing fiction.” Maybe I should try harder, ’cause I mean, it was funny. They’ve written a few things that a fiction-writer-for-a-mother would probably steal and turn into longer stories. Anyway. They love Zita somethin’ fierce. 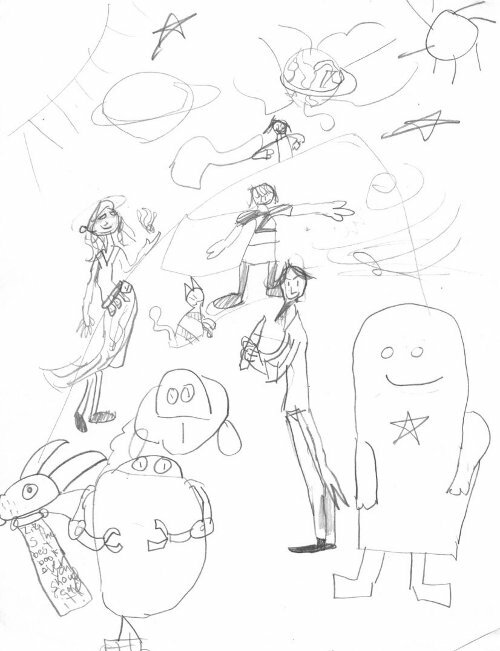 I love the drawings–the eight-year-old has a flair for conveying attitude! And that’s definitely one of my favorite things about Zita.